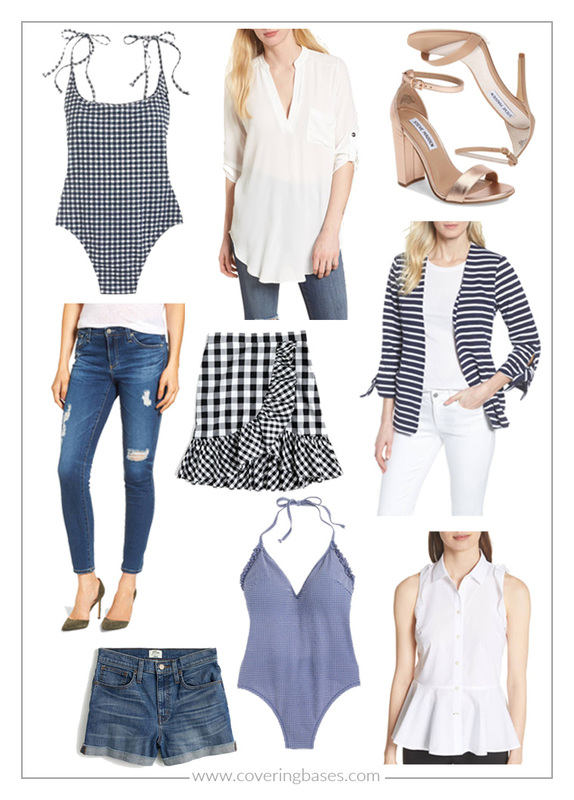 I'll have another post for all the great sales going on this weekend but I wanted to first share my favorite picks from the Nordstrom sale that are all great for summer AND under $100!! (* = under $100, ** = under $50, *** = under $25) Steve Madden Heels: Both styles are great for summer (especially weddings) and I can vouch because I have and have worn both recently! Of the two, my favorite is the Carrson heel because it has a thicker bottom and they stay comfortable longer than the other! White Tops: You can never have enough white tops in your closet! I personally have the roll tab tunic and wear it ALL THE TIME. It's such a steal at this price. I'm going to stock up on more colors! As for the Kate Spade peplum top, this is going to be great for any of my working girls out there. It can pair so nicely with a bunch of things. AG Jeans: There are a LOT of AG jeans on sale! There are these legging ankle skinny jeans with holes patched and holes open and then of course my very favorite farrah style jean (see my review here) Denim Shorts: I've been through my fair share of denim shorts but none compare to my J. Crew ones. They are high waisted, are not booty short and wear really well over time. I think I've had my pair for four years now and I still wear them almost every day in the summer! There is also a great Barbour jacket on sale and a SUPER cute LBD that someone must scoop up that is 50% off making it $63! And while I have most of the items above, I was able to scoop this white J. Crew top and bottom suit! You can shop the entire Nordstrom Half Yearly sale HERE!